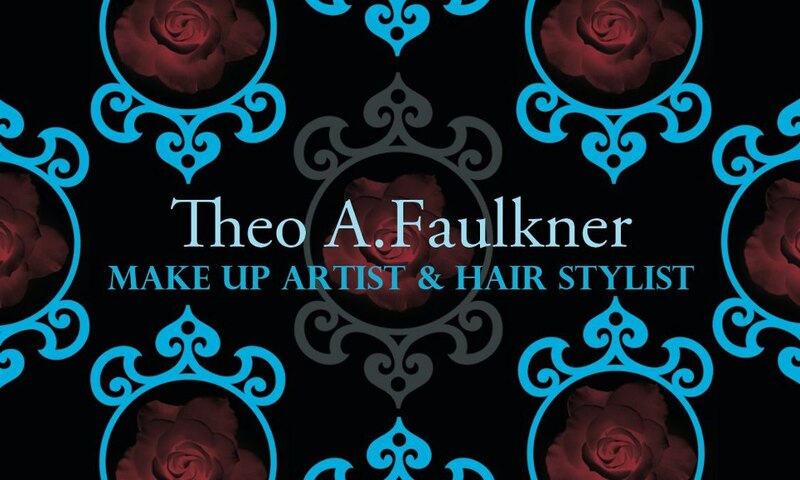 Theo Faulkner is a ten year+ veteran of the fashion industry. 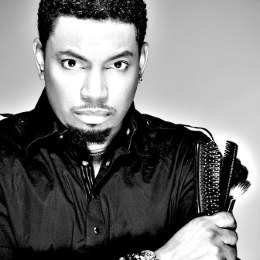 The celebrity make up artist and stylist specializes in print, commercial, fashion, beauty, and men’s grooming. Faulkner’s stylings have been seen in Oprah Magazine, Uptown Magazine, Black Enterprise Magazine, and Glamour Magazine. He has also worked with Pepsi, MTV, BET, and several major record labels. DZI: The Voice got the opportunity to interview the New York City resident in our latest exclusive Q&A. When did you discover your talent for make-up art and hair styling? Well it really was unexpected. It was something that I want to say was always there. Meaning I was surrounded by my very fashion forward folks, with their rich culture, and them embracing the times of fashion when they embarked here in New York in the 70’s. Being exposed to that I believe I developed the components that I use now in my works. I would describe it to be very casual conservative. It’s very free and cozy with structure where needed. I’m a very T-shirt and jeans type of person, but when needed I embrace a tailored fitted suit. How much of styling is a reflection of your own personal vision versus that of the client? Well, what works for me might not work for the next person. So I do take the passion and the care in myself over to how I interact with a client. I really try to pull out their own personal style, see where their natural beauty lies and pull that out in the make up, hair styling, or wardrobe. I think clients appreciate that with me, because I truly see who they are instead of making them up to be what they’re not. You’ve worked with some really prominent companies like Nike, Pepsi, and M.A.C. Cosmetics. What did you learn about working with such internationally known corporations a far as imaging and branding? Well, there were pros and cons working with each of the companies. I learned that having a presence is important. People respond to a product that works for them… with the truth there is a loyalty in place… it makes for good business. How did you became a part of the team on America’s Next Top Model? I was not part of the show itself. I ended up working with a lot of the models on the show and became good friends with a good many of them for the first cycles of ANTM. I ended up working with a few of them when they were featured on “The Fiercee Awards” on the Tyra Banks Show, were I did make-up, hair styling, and wardrobe styling for a few of the models. Outside of that, I’ve worked with many of the models as their careers took off after the tapings of the show. What was it like working on Beyoncé’s “Best Thing I Never Had” video? It was a great experience. I was pulled into the job by another stylist that was working on the shoot the day before. She was not able to make it for the second day and referred me to come in her place. For that I am grateful. It was so great to be a part of such a huge entertainer’s music video project. Are there any experiences with celebrities/models that you’ve styled that really stand out? Yes, I truly enjoyed working with Miss Debbie Allen. She is a legend. I was hired to do make-up, hair styling, and wardrobe for her stay here in New York while she was working on a project she was promoting. It was such a great experience working with with Miss Allen. I’m humbled and grateful to know her. Are there any celebrities that you haven’t worked with yet that you would like to? I really like Azealia Banks, Sevyn Streeter, Kerry Washington to name a few. There are so many more. I love working with new artists and helping being part of the shape of their vision and brand. Who are some of your all time personal style icons? classic, chic, and Tommy Bahama for his Caribbean, airy influences. You’ve had the chance to travel around the world. In your opinion how is the appreciation for fashion similar/different overseas than here in the States? Yes, I have. It’s wonderful to get to know and see other cultures and how they experience fashion. I feel labels don’t seem to be as important as it is here in the States. Other cultures have their own way that they handle fashion based on their country and religions beliefs. I think there is something to be inspired by every culture out there. What’s one mistake in make-up application that you see too often? I think too often I find that one mistake that is made is the lack of taking care of one’s skin. It’s the most important thing to have in achieving a great make-up application. Moisturize, moisturize, moisturize, and everyone should wear SPF on their skin to protect them from the sun. Having clean well shaped eyebrows would be the second thing for me. Too often I see women overdraw their eyebrows, and they either look heavy and unnatural or they have over-tweezed them where the lack enough hair to have an eyebrow shape. It’s so important because it frames the face. What trends do you see on the horizon that you think will make a big impact in fashion? I really see sharp lines and shapes coming in strong, as well as bold royal colors, free-flowing fabrics. They have made their impact on fashion before and will come back again. That’s just how fashion is. What once was old and done will come back to be revamped and new. What’s next for Theo Faulkner?